I was released back to work with restrictions. I am not allowed to lift or pull more than 30 pounds. I spoke with my direct manager today, and he feels we should be able to work around those restrictions in my department. My H.R. manager however makes me believe I will have to do something else in the building. They have a new program for dealing with people who need accommodations, so I get to be the guinea pig. I was shocked that they would allow me back at all. The program allows for 90 days of temporary light duty, similar to if I had been injured at work. At the end of 90 days you can apply for an extension for another 30 days too. I hope I don’t have to do boring/tedious work, but at least I will be able to earn some money and keep my baby safe. I will see how it goes Tuesday morning. Thankfully hubby was willing to pick up take out for dinner on his way home from work. I just don’t have any energy left for cooking. There are so many things going on in my life right now…. 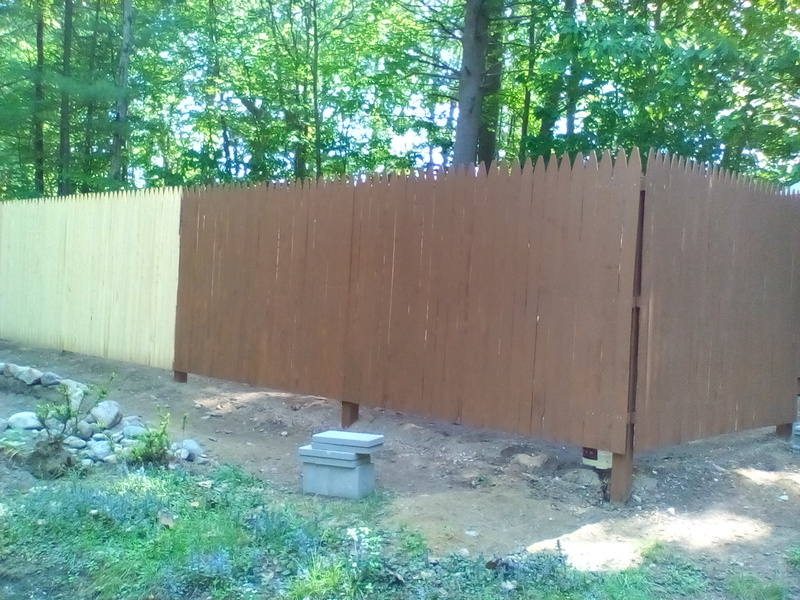 Projects getting worked on… our new fence is up, except for the gate, and we’re starting to get it painted. Our ducks are laying up to a dozen eggs a day, so I am trying to think of what to do with them all. I have over 100 fresh eggs right now! Of course I still have my job to go to, and physical therapy appointments or doctor visits for my shoulder. With everything that is going on here, sleeping has not been a priority. 3-4 hours on a work night is average, and that makes for a cranky me when I get home. Last night was my night to get some sleep since today is my first of 4 days off of work. Thankfully the baby was good for me last night, so I was able to get about 8 hours of sleep! I woke up feeling pretty rested and ready for another full day. So far that has just consisted of nursing the baby, reading blogs, cleaning up puppy messes, feeding the baby cereal and a couple other minor chores. The plan for today consists of a trip to the pool, taking care of our multitude of pets, washing dishes, doing laundry, more nursing and feeding of the baby of course, preparing homemade baby food batches, cooking something for dinner and possibly some outdoor chores too. I wonder what will actually get done, and I know there should be much more on my list to do. 😉 Obviously writing this blog made it on the list, even though I didn’t have much to say. I just felt like it had been too long since I had written. I haven’t been keeping any kind of journal for writing about my baby’s growth or new experiences, so I thought having it documented here that his teeth are finally coming in would help me remember this occasion. My oldest had his first teeth pop out around 5 months, and my new little man is going to 8 months old in a few days. I am surprised it has taken so long for them to come in, but yet he is doing other things much sooner than I remember my first doing. I am shocked when my little guy starts climbing on the furniture, and practically pulling himself up and out of his crib. Last night he didn’t want to be in his crib when Mom and Dad had to get to bed, and his head kept popping up over the rail of his crib with his eyes just searching for someone to convince to pick him up. They were so tempting, but I could barely keep my eyes open to watch how cute his sad face was. Either it didn’t take long for him to settle down, or I was just too exhausted to hear him fussing and passed out. 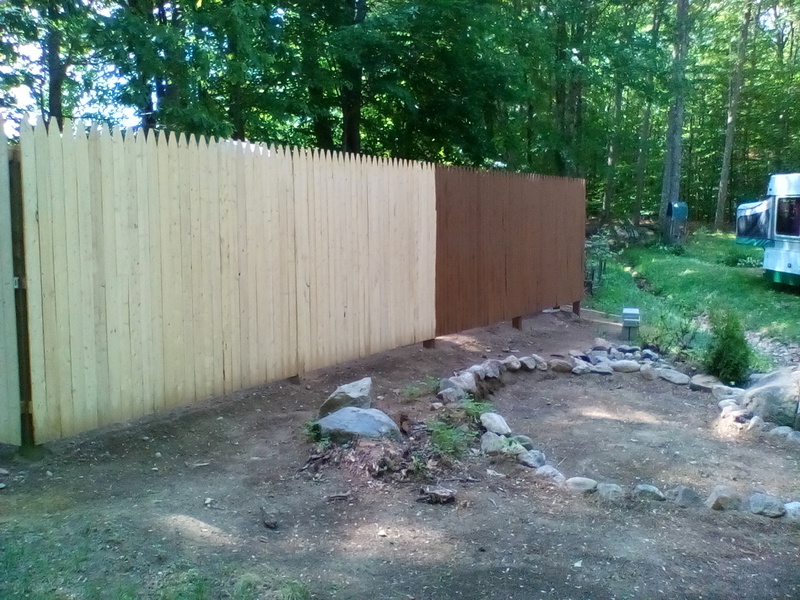 Partially painted fence, and to the right is the area where we will be putting in a little pond. Another view of the painting progress. We only worked on it for about 1 1/2 hours yesterday. The wood is rough and will get another coat. 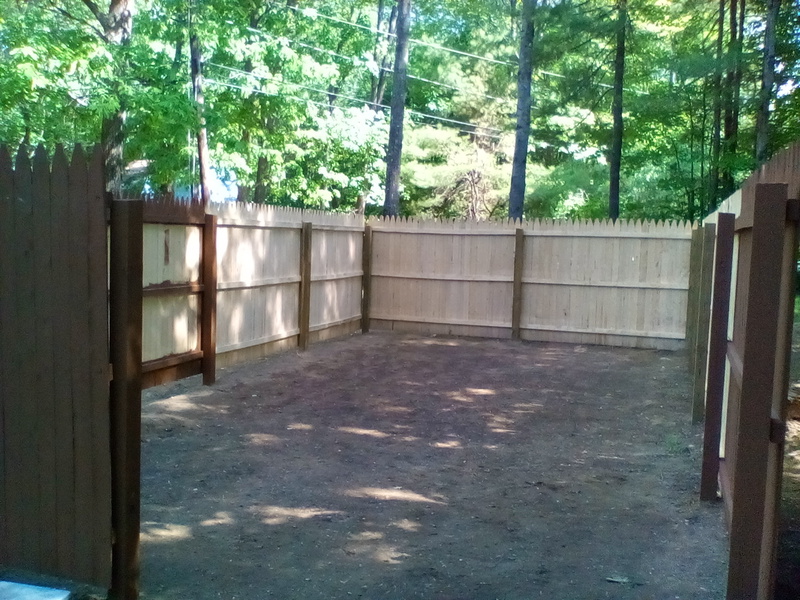 Our fenced area (minus the gate) where our pool will be set up. 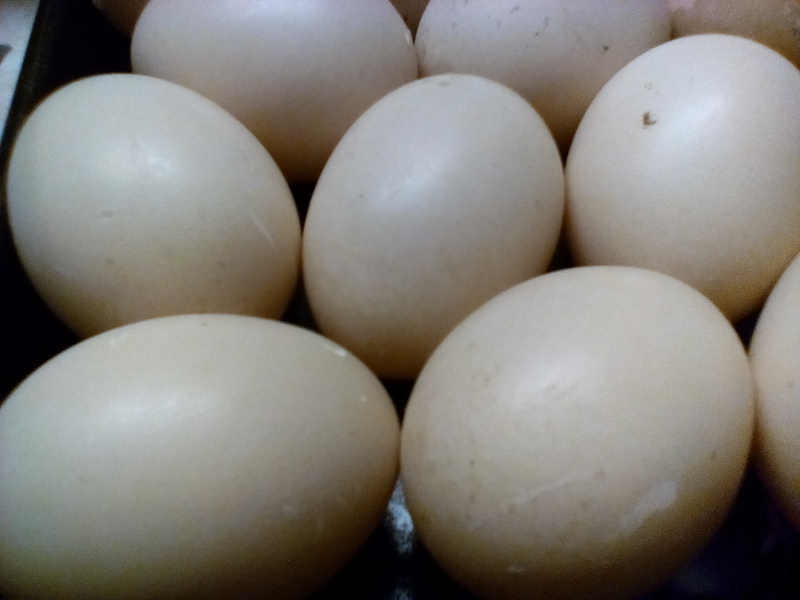 Just a few of the eggs we have been getting. The girls started laying 5/15 and we can’t eat them at the rate they are producing. What can you do with a dozen a day? !